Let’s start off with its definition. 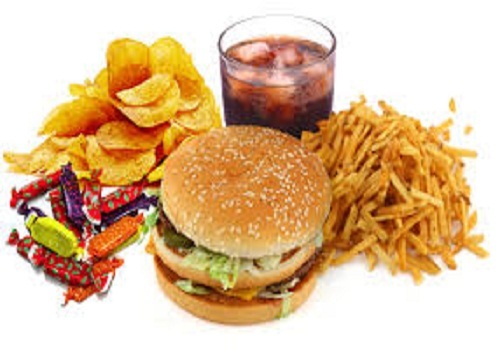 Junk food is a pejorative term for cheap food containing high levels of calories from sugar or fat with little fiber, protein, vitamins or minerals. Use of the term implies that a particular food has little “nutritional value” and contains excessive fat, sugar, salt, and calories. Junk food can also refer to high protein food like meat prepared with saturated fat -which some believe may be unhealthy, although some studies have shown no correlation between saturated fat and cardiovascular diseases; many hamburger outlets, fried chicken outlets and the like supply food considered as junk food. Have you wondered why there is gradual increase in metabolic diseases, inflammatory diseases, and cancers? Have you wondered why it is that the wealthiest nations in the world has more than 80% of their children suffering from obesity and autism? And does it bother you that the wealthier a people get the less fertile they tend to become? We are now mostly eating junks instead of food; we add all sorts of chemicals to our food to make them look better, taste better, and cook easier, all at the detriment of our health! A research recently concluded in its findings that an average person now consumes an average of 40 different chemicals per day. Imagine the overwhelming effects of these additive chemicals on our digestive system, immune system, and the excretory systems. Our liver and kidneys are nowadays seriously over tasked. No wonder, the incidence rate of kidney and liver failures are higher when compared with our forefathers despite our advanced technology! Some may delude themselves by saying that even the food harvested from the earth are made up of chemicals. That is true, but these chemicals are put together in particular ratios by Mother Nature, and that is why our body systems easily recognizes them and knows exactly what to do with them. The additive chemicals are NOT recognized by any of our body systems, and so they just keep accumulating inside our bodies until they totally overwhelm the systems. Pesticides, additives, preservatives, or colorants are deliberately sprayed onto or added to food crops. Farm animals are treated with drugs or hormones and have antibiotics added to their feed. Food crops or animals are effected by environmental pollution. ❇ Preservatives: Chemicals that prevent the food from rotting. ❇ Colorants: Chemicals that are used to give the food a specific color. ❇ Flavor: Chemicals that give the food a particular flavor. ❇ Texturants: Chemicals that give a particular texture. ❇ Stabilizers: chemicals added to to make all the ingredients in the food remain stable together. Please note that processed foods can contain dozens of additional chemicals that are not even listed. I hate to break this to you, but when you see “artificial flavors” written on the label, is like an umbrella that covers a combination of chemicals. Trust me, manufacturers don’t have to disclose exactly what these additives are really. Which implies that, there are 10 or more chemicals blended together to give a specific /desired flavor.